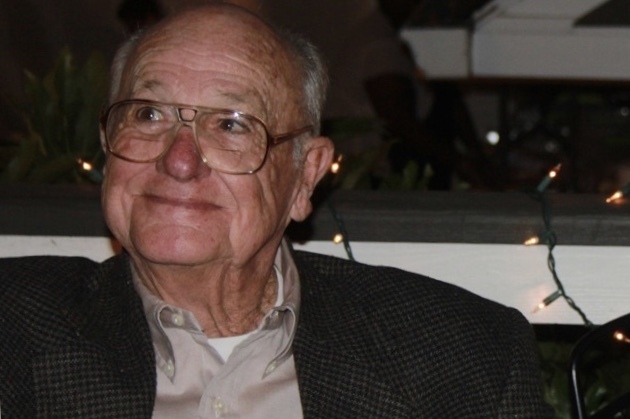 William Herman (Sonny) Russell, 86, died on November 25, 2018 at the State Veteran's Home in Kosciusko, Mississippi. A Celebration of his life will be held Thursday, November 29, 2018 at First United Methodist Church, Lexington, MS at 1 P.M. Visitation will take place from 11 A.M. to 12:30 P..O. prior to the service. Our Sonny was born on February 21, 1932 in Grenada, MS to Hermoine and Esther Kuykendall Russell. He grew up in Lexington among many lifelong friends. He joined the United States Navy in 1950 following his high school graduation. Sonny served in the Korean War stationed in Guam. 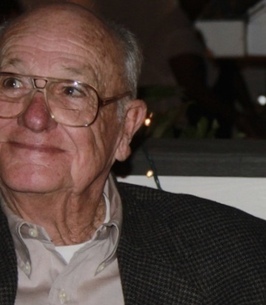 He married his high school sweetheart, Betty Yearwood, on November 10, 1952. They lived in Oakland, California for two years where he was stationed at the Alameda Naval Air Base, United States Navy. Upon leaving California, they moved back to Lexington, MS to raise their family. He was a member of First United Methodist Church. He was faithful in service, teaching Sunday School for many years. He loved his church family, but most of all he loved Jesus Christ. Family and friends were his treasures. It is not a surprise to anyone how Sonny loved people. He loved stories. He lived large and loved well. He could spin a tale that no doubt you would believe and never forget. The Little River Hunting Club held an endeared place in his heart. The memories and experiences he shared there gave him solace and comfort throughout his life. He was one of the last two surviving charter members. Until later in life, Sonny was an active businessman and farmer. His last and most favorite pastimes were his prized angus cows and driving his tractor. He lived the last two years of his life in Madison surrounded by the love of his daughter, Laurie, and son-in-law, Terry. Sonny is survived by his son, William Bruce Russell, Sr. and wife Sheila of Lexington, MS; his grandsons William Bruce Russell, Jr. of Jackson, MS and Sessums Russell of Oxford, MS; daughter, Laurie Russell Dahlem and husband Terry of Madison, MS; his granddaughters Darah Dahlem of Tyler, Texas; Katie Dahlem Robinson and husband Clint of Santa Rosa Beach, Florida. He was preceded in death by his parents and his son, James Christopher Russell. In April of 2010, he lost his beloved wife of 58 years. Memorial may be made to First United Methodist Church, 108 Tchula Road, Lexington, MS 39095 or Lexington Foundation For Excellence (Central Holmes Christian School) P.O. Box 14, Lexington, MS 39095. To send flowers to the family of William H. "Sonny" Russell, please visit our Heartfelt Sympathies Store. I knew Sonny as a man that lived life on his terms. There was never a time when his name was mentioned by family, that it wasn’t followed by a story associated with an event that left you smiling and thinking how much color he contributed to this mundane time we are on this earth. I know that everyone will miss him, and I pray that the family finds solitude in the memories he created. Much Love to the family.